Given the fact that tablets are extremely convenient and portable, they are a rage in this day and age. Tablets are versatile and allow you to not only compute on the go, but to be entertained wherever you are. What’s even more remarkable is the current spurt in the production of budget-section tablets. This has contributed immensely to the popularity of such devices, among the masses. Many technology giants have come up with tablets that compete with each other, to woo the public through offering as many useful features and benefits as possible. Among these tablet giants are Samsung, Asus, and Micromax, all of whom have introduced impressive and economical tablets this year. Samsung recently launched its flagship tablet, called the Samsung Galaxy Tab 3. Going hand in hand with this move of Samsung’s, rival tablet companies Micromax and Asus launched tablets in the same price range. 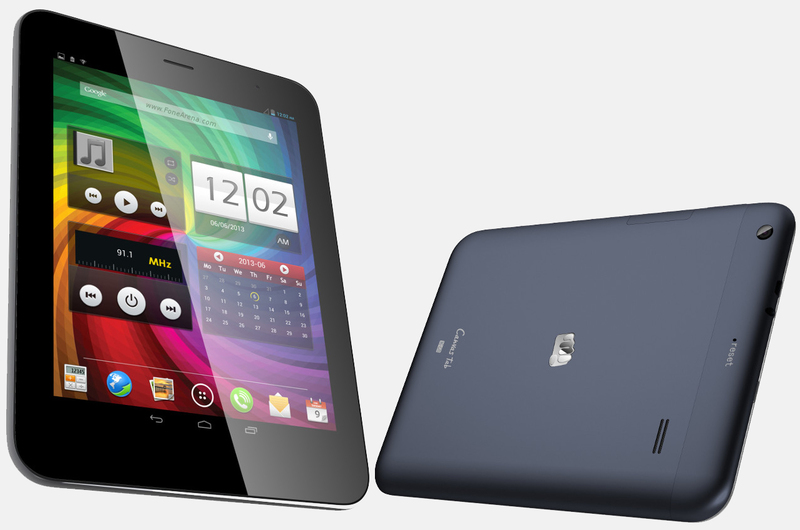 Micromax brought forth its first tablet in the Canvas series, called the Micromax Canvas Tab P650, and Asus’ contender in this battle is the Asus Google Nexus 7. These three devices come loaded with striking features. Choosing one among these tablets could prove difficult for the public, as they try to settle in on a tablet that meets their needs. To be able to choose wisely, it is important to look closely at the features of each of these devices. Samsung, Micromax, and Asus have left no stone unturned in coming up with tablets that are not only rich in features, but are also not easy on people’s pockets. Let’s take an in-depth look at what each of these tablets has to offer, so that you can make your choice. The Micromax Canvas Tab P650 scores over the Galaxy Tab and the Nexus 7 in terms of screen size. While the other two tablets come with screens that are 7 inches in size, the Canvas Tab P650 boasts of a bigger, 8-inch display. The Canvas Tab looks much like the Funbook Tab that was earlier released by Micromax. There’s one aspect about the screen that you should know. It attracts fingerprints easily, which means you have to take additional care to keep it clean. As far as screen resolution is concerned, the Samsung Galaxy Tab 3 comes with a resolution of 1024×600 pixels, which translates to a pixel density of 169 pixels per inch (ppi). The Micromax Canvas Tab P650, with its 1024×768 pixel resolution and a density of 160 ppi, can be likened to the Apple iPad Mini in this respect. The Asus Google Nexus 7 does a slightly better job by offering a resolution of 1280×800 pixels and 216 ppi. The display on this tablet is rather crisp. The Samsung Galaxy Tab 3 comes with a rather average 3-megapixel rear camera, which is devoid of a flash, and a 1.3-megapixel front camera. In this respect, the Nexus 7 and the Micromax Canvas Tab P650 score brownie points, as both these tablets sport a 5-megapixel camera. The resolution of the front camera on the Nexus 7 is 1.2 megapixels, while Micromax provides its Canvas Tab with a 2-megapixel front camera. While Asus Google’s Nexus 7 and Samsung’s Galaxy Tab 3 work on the Android 4.1 Jelly Bean operating system, the Micromax Canvas Tab P650 goes a step further and provides its users with an opportunity to use the advanced Android 4.2 Jelly Bean operating system. Running a more advanced operating system, Micromax gains an upper hand in this department. Samsung’s Galaxy Tab 3 is powered by a 1.2 GHz dual-core processor, which falls short in comparison to its rival devices, both of which are powered by a 1.2 GHz quad-core processor. This makes the Canvas Tab P650 and the Asus Nexus 7 much faster, especially for the purpose of multitasking. While each of these 3 tablets comes with a 1 GB RAM, the difference lies in the inbuilt memories. The Samsung Galaxy Tab 3 comes with an internal memory of 8 GB, while Micromax’s gadget comes with a 16 GB internal memory. At the top of the ladder stands the Asus Google Nexus 7, with a whopping 32 GB internal memory. The Asus Google Nexus 7 has been priced much higher than its counterparts, at a whopping INR 20,940, as per smartprix.com. The Samsung Galaxy Tab 3 is more affordable, being priced at INR 15,949. However, the Micromax Canvas Tab P650 price makes it a winner in this category. The company has kept in mind the fact that their tablet is targeted at the budget sections of society. This accounts for the Micromax Canvas Tab P650 price being around INR 14,500. So, Which Is The Better Tablet? Although brand loyalists would still prefer going in for tablets from popular tech giants such as Samsung and Apple, there several worthy rival tablet makers who are launching amazing, feature-rich tablets. However, if we are to look at a tablet that is clearly worth the money in terms of features, appearance and more, it is the Canvas Tab P650. Considering the Micromax Canvas Tab P650 price, it’s the most economical of the three tablets. Its features, too, are beyond what Samsung and Asus have to offer in their tablets. Loaded with an excellent processor, good camera, and several useful features, the Micromax Canvas Tab P650 gets a resounding yes. Great Review For Both Smartphone, yeah Micromax is Winner in this Review, but i Can Say Still 6 out of 10 Prefer Samsung. Micromax is Most growing Company in Smartphone nowadays, i Hope Soon it will be Choose more Normally by peoples. Thanks for coming here. I agree with you, nowadays Micromax is emerging across the smartphone industry. Keep on reading my blog. Hope to see you again. For me Samsung Galaxy tab is winner among other 2 options as I have been using this tab & found its efficiency much better for one time investment. Micromax I studied reviews go out off better efficiency during browsing & multi-tasking. I felt investing on Samsung at http://www.snapdeal.com/product/samsung-galaxy-tab-3-t211/1569460256 was worth.